Islam teaches us that every soul shall taste death. After a person’s death, his soul will reside in a world different from ours, called “Barzakh” until the Day of Judgement (Qiyamah). On that day, everyone will be gathered by Allah for the final account. The good believer will go to heaven while the bad servant will go to hell. To believe in this is a pillar of our faith (Iman). Therefore, a believer must learn about this subject and have conviction in it. But to be precise, you must understand that each person shall witness his own Day of Judgement, and he will be among the group of his time, at the moment of his death. For example, in everyday life, we often learn of a calamity or other that has arisen and has made hundreds or millions of deaths. So, for these people, it’s their last hour on earth and they will face their Last Judgement after going through the “Barzakh” and from there on they will know their final destination. “But those who disbelieve say, ‘The Hour will not come to us.’ Say, ‘Yes, by my Lord, it will surely come to you’.” (Saba, 34 : 4). Non-believers in general, apart from religions which were originally monotheistic, such as Judaism and Christianity, do not believe in life after death, in the Last Judgement because most of them believe that their life on earth is their only life and death will mean a definite end to their life, while others believe in reincarnation, i.e., they will be resurrected in different bodies, be it in human or animal form, and that they will return to earth again and again, instantly, or centuries after their present death. These conceptions about life and death that they hold are really wrong. As Muslims we need to know and understand that our faith (Iman) rests on six pillars; Our faith in: Allah, His angels, His Books, His Messengers / Prophets, the Last Day of Judgement and Fate/ Predestination/ Destiny – and the fact that good and evil come through the knowledge, law and the creation of Allah, and the firm belief in life after death (the Resurrection) which are each an indisputable truth. I have chosen to address you in this Friday Sermon today on “Perfecting Good Manners”. Every good Muslim must necessarily have a good behaviour and good manners in his everyday life. He must understand that good behaviour in this life on earth is essential to lead an honourable life. The Muslim, in addition, has the sacred duty to have a good behaviour because therein contains high moral values. And these moral values ​​have a particular importance. They are signs of happiness and success here in this life on earth, but much more so in life after death. It has been reported that our beloved prophet Hazrat Muhammad (pbuh) said: “I have been sent to perfect good moral character.” (Musnad Ahmad). He also said: “The dearest and the closest of you to me on the Day of Resurrection will be those who will be best in behaviour.” (Tirmidhi). When his companions questioned him about what most cause people to enter paradise, the Holy Prophet (pbuh) replied, “Taqwa (piety, righteousness, fear of Allah) and good manners (or character).” (Tirmidhi, Ibn Majah). This is why Muslims must pay special attention to moral values ​​and must give them special importance because they represent the signs of happiness and success in this present life and in the hereafter. 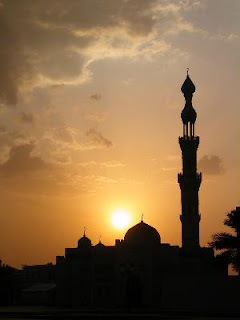 Allah has established five pillars for the maintenance of the balance and strength of Islam, and Salat is the second, after the Shahada (Laa-Ilaaha Illallah Muhammadur Rassullullah); that is to say, the attestation of the oneness of God and the recognition of the status of Muhammad (pbuh) as the Messenger of Allah. As a result, all the good deeds we perform depend on Salat because it is the main prayer. So much so that even the other pillars such as fasting (Sawm), obligatory alms-giving (Zakaat) and the Pilgrimage (Hajj) depend on the Salat. Narrated by Abu Huraira (ra) that our beloved prophet, Hazrat Muhammad (pbuh) said: “The first action for which a servant of Allah will be held accountable on the Day of Resurrection will be his prayers. If they are in order, then he will have prospered and succeeded. If they are lacking, then he will have failed and lost.” (Tirmidhi). Salat in other words is the key to the believer’s temporal and eternal success. Without the Salat, no one can access Allah, because Salat is the link, and even the essence of the relationship between man and his Creator. 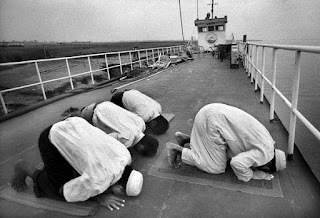 It is through the Salat that man can see God through the eye of God. 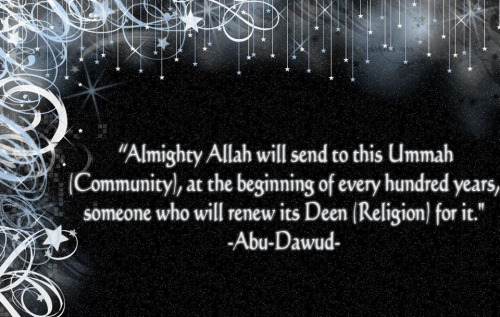 It is the sacred rendezvous between the Creator and His creature, a daily appointment which is obligatory upon him. For the true believer, this meeting with the beloved is not a burden or a difficult task to accomplish, but a real pleasure, and as a result, he will reap the paradise and the eternal pleasure of God. 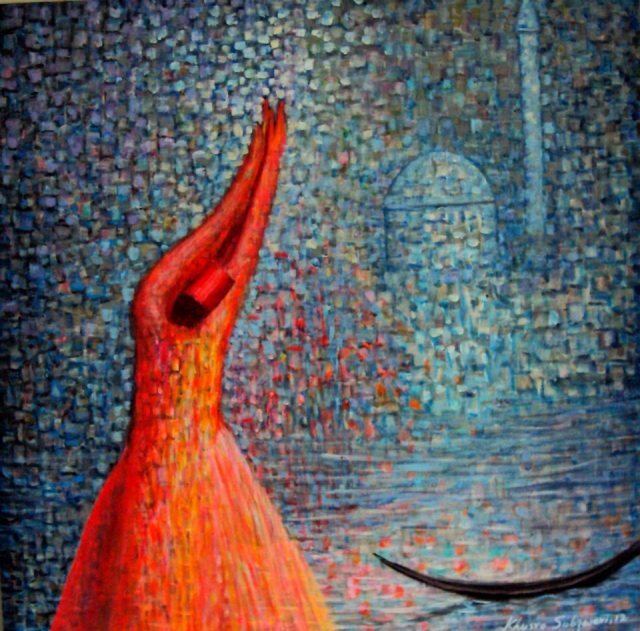 Contemporary Muslim world is riddled with profound paradoxes and deep ironies both in its secular and spiritual realms. Muslims today stand at the crossroads of time: from providing frameworks for the profound transformation of whole communities and nations, and guiding people on the virtues of inner peace and social equilibrium; the Muslims have come to witness periods of decline and fall in their political and spiritual fortunes as well. Severe trials of history in the forms of colonialism and imperialism- the long onslaught of alien economic, military and ideological dominance over the Muslim lands- scarred the psyche of many Muslim societies and peoples. Even in the face of the jealous machinations of the enemies and the many failings of its claimed adherents, it is astonishing that Islam could survive and flourish against all odds. Indeed, by all indications and empirical projections, Islam is poised to outgrow all other religions and is destined to embrace every nook and corner of this world in the foreseeable future. Insha Allah, Aameen. Notwithstanding the clear intimations of Divine favour on Islam as the paramount belief system of the evolving future; it is deeply ironical that the religion is besieged by simmering internal crises. Much of the Islamic world is beset with looming fires of various kinds amidst deepening sectarian divisions. At a time when the propaganda against Islam as an oppressive social order (God forbid) remains raging in non-Muslim public/ social circles, it is also disconcerting that there is a glaring disconnect between the ideals of the Faith and the realities of practice in every day life among the Muslims. Since most Muslims today have an imperfect understanding of Divine commandments and religious doctrines they have inherited from their pious ancestors, it is a religious imperative that the spiritual appeal and ethical beauty of Islam is reclaimed and renewed by living testimonials in the everyday life of the community at large. It is instructive to note in this context vital Islamic teachings regarding the continuity of spiritual vicegerency in every era of Islam through the advent of some perfect followers of the Light of Muhammad (sa). Indeed the Qur'an makes a spiritual promise that Allah (swt) shall raise His special servants with a mandate to hold aloft the torch of Faith and for the renewal/re-birth of sublime morals of Islam among the believers. Such teachings about the coming of the Saints of the Faith to serve as the guiding stars even in times of crises and confusion powerfully point to the inner vitality of the Islamic Way. If Islam has survived and continues to endure as the Holy Path of God despite all the political crises in Muslim lands, it is indeed in large measure due to the instrumental and exemplary roles of the extraordinary men (and women) of God who appeared to serve the Faith over the centuries. The Promised Massih Hadhrat Mirza Ghulam Ahmad (as) of Qadian was a spiritual polymath, steeped in all the religious sciences. He spoke with extraordinary urgency and consistency on the need for the wider acceptance within the Muslim Ummah of forgotten Islamic teachings- regarding advent of Divinely-imbued souls such as a Mujaddid/Muhaddith/Khalifatullah among the Muslims in every era. “If now is not the time for the advent of the awaited one, the earliest that he can appear now is after a hundred years. 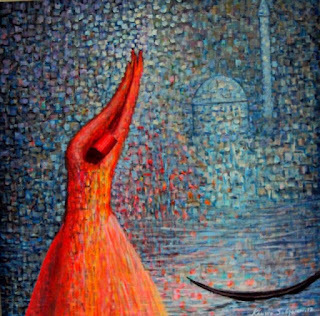 For a divinely appointed Reformer (Mujaddid) must always appears at the head of the century”. 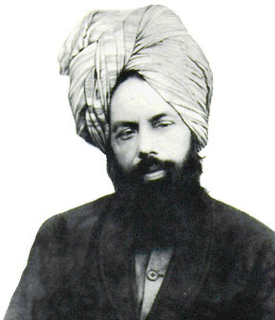 -----The First Address of the Promised Messiah (as) at the Annual Convention on 25 December 1897). 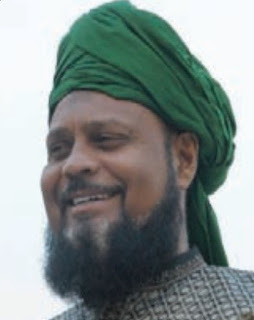 The Holy Founder and Imam of the Jamaat Ul Sahih Al Islam International, Hadhrat Muhyi-ud-Din Al Khalifatullah Munir Ahmad Azim Saheb (atba) belongs to, and lives in, the Indian Ocean- island State of Mauritius. 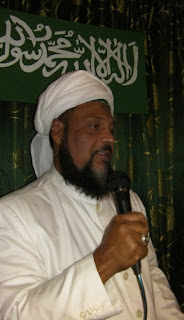 For close to two decades now, this devout servant of Islam has been proclaiming through all means available that he has a Divinely-inspired mission: of reclaiming and revitalizing the enduring message of Tawheed-thereby helping people appreciate the correct spiritual path; strengthening them morally and spiritually in these bewildering times. Like all men of God throughout history, Hadhrat Khalifatullah (atba) preaches Divine Love. 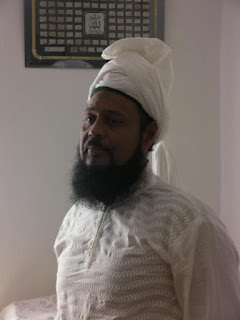 Sharing pure Divine Messages coming from the Unseen, Hadhrat Saheb (atba) invites people to recognize the advent of his humble self in our midst as an Elect of God and consider the extraordinary possibility of acceding to the Divine countenance in this era as well by following his personal example. 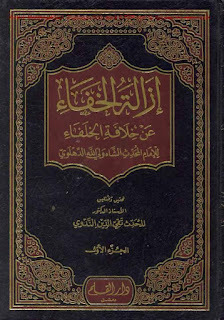 Those familiar with the profound history of Islamic spirituality over the last millennium and more- that witnessed the appearance of so many Divinely-imbued souls as the Pole Stars of the Religion and the Way- would not be surprised by the claims and arguments of Hadhrat Khalifatullah (atba) in our times. 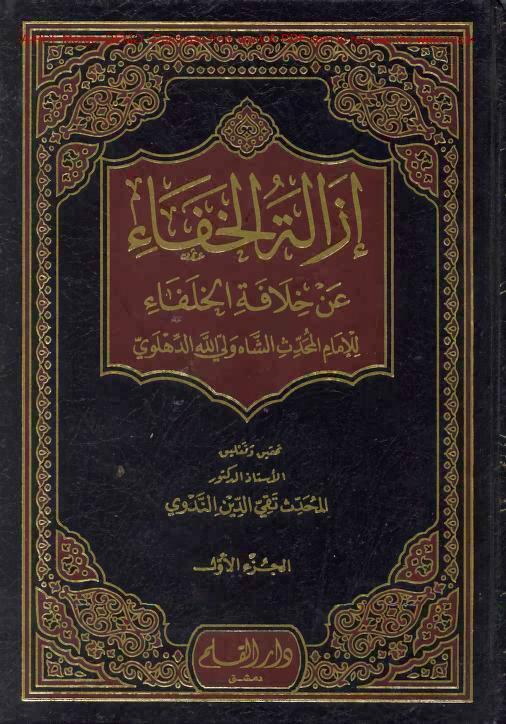 “Of all the leaders of Tasawwuf that there have been till the present day, not even one has disagreed with the point that in this religion the path to become the likes of prophets is open, as the Holy Prophet Muhammad has given the glad tidings for spiritual and godly learned persons that ‘the Ulama of my nation are like the Israelite Prophets’. Which you share with Allah and His Messenger. And Allah shall be for you. 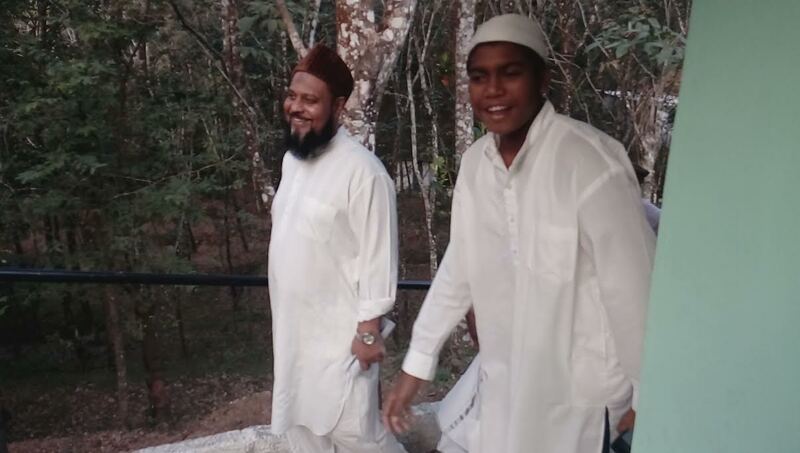 [---Being an inspired, special Advice given by Hadhrat Muhyi-ud-Din Al Khalifatullah Munir Ahmad Azim Saheb (atba) of Mauritius to a disciple on 19 March 2016].